Check out this new mouse from Asus, the Pulse Rate Mouse. As you can see from the picture above, the Asus Pulse Rate Mouse looks like a standard mouse. 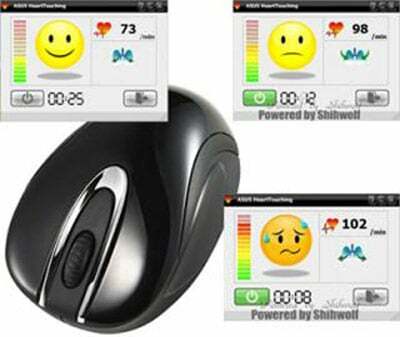 Under the plastic of the mouse is a built in heart rate sensor, which transmits data to your PC and displays your current heart rate, then the pre-installed software display your pulse rate on the PC. 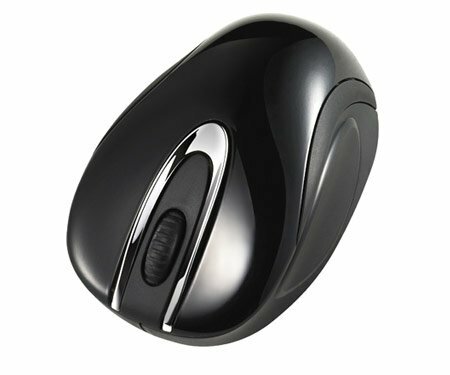 As well as the built in heart rate monitor, the Pulse Rate Mouse features 1200 dpi, 5 buttons and has a 30 foot range. There is no news on price or availability as yet.